We are very pleased to announce that there are 3 new Isle of Man trackable tags for sale in time for Christmas. These trackable tags are designed and made exclusively for Manx Geocaching by NE Geocaching Supplies. They are trackable on geocaching.com and have the special ‘IM’ prefix. Available now at NE Geocaching supplies and pick up more geocaching goodies before Christmas. As well as an Isle of Man Flag tag we have picture tags of the Laxey Wheel and of North Barrule, both these images captured by Peter Killey from Manx Scenes Photography. 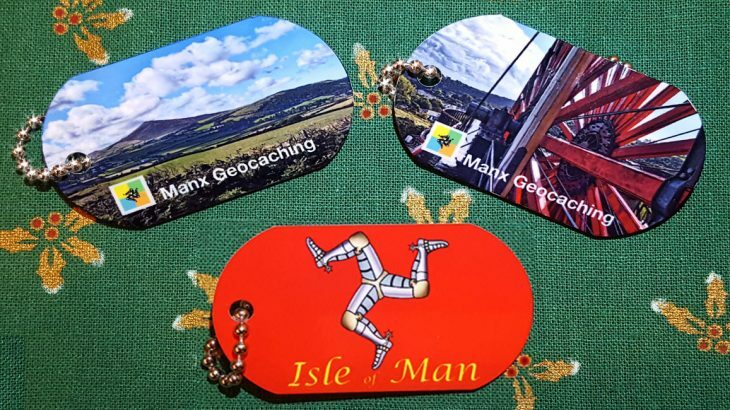 Priced at only £6.10, which includes a trackable code with the special ‘IM’ prefix, they will make a wonderful reminder of your visit to the Island or make a unique gift for your Geocaching buddy. Or you can always send one on its travels yourself and watch its journey on geocaching.com. Who knows where your Island Traveller will end up next? Geocaching, Isle of Man, Slider geocaching, iom, Isle of Man. permalink.